I recently saw Aquaman the latest underwater spectacle from DC and thoroughly enjoyed it. It is a visual spectacle allowing for some pure escapism. Yes, it certainly had its problems and if scientific accuracy is something you look for in movies, this one is not for you. The film is entertaining and often times down right silly. But among its silliness it manages to subtly highlight an important issue. Let’s explore the Aquaman environmental message and the serious truth that lurks in its depths. When members of the Kingdom of the Brine, crabs and such, start trash talking sharks in a fiery war deep beneath the sea I could not help but smirk. How do they talk? They just talk as if they were on the surface. Cool, moving on. However amidst all the fast paced action and underwater rings of fire (huh? ), there is a very well placed environmental message in the film. The first time Orm attacks the surface, a sequence with images of beaches littered with trash follows. Unfortunately a sight all too familiar in real world news. Last year, news circulated about Henderson Island, which was described as a “plastic junkyard” by The Atlantic. More recently a similar sight presented itself to divers near Roatan, where the surface was covered in plastic waste. Articles like these might raise some awareness, but I think blockbusters such as Aquaman reach a much wider audience. Of course in blockbuster fashion, director James Wan, reveals much wider shots of beaches littered in warships and submarines. First you might feel a little sorry for the poor surface dwellers, but soon the parallels to our actual behaviour are quite clear. I found it most poignant, when I really did not want Arthur and Mera trashing that beautiful town in Sicily. This climaxed when Mera trashes all that tasty wine just to kill a bunch of ocean soldiers. I cringed while they demolished this idillic sea side town. In the contrary, this is what we actually do. We treat coral reefs and mangroves with just as much concern. Eradicating these fragile environments with coastal developments all over the world and waging our wars in the oceans, building huge airfields on remote coral reefs. a war is coming to the surface, whether you like or not. And I am bringing the wrath of the Seven Seas with me. His motivation is clearly pollution and not simply a family feud. Don’t fret however, the film was pure joy and entertainment. Not once did I feel that some environmental message was being forced. The huge battles are a joy to watch. Humanoids riding sharks, giant octopus playing the bongos, Williem Dafoe and the innocent sparks between Arthur and Mera are all pure entertainment. It was when I walked back from the cinema that the Aquaman environmental message played on my mind. I thought this to be very powerful and tactfully implemented, almost subliminal. A great achievement by the director and crew. I came because I have no choice. I came to save my home, and the people that I love. His dilemma is that he is half Atlantian and half Human. This motivates him to try and avoid the war altogether and safe both the ocean and the surface. He’s living proof our people can co-exist. He could unite our worlds one day. Something we should all strive for. Even if our ocean is not lead by evil ocean master Orm that will come and attack us, our ocean’s demise will ultimately be our own as well. We rely on it for food, oxygen production and it is our planet’s air conditioning unit. If it dies, it is like turning of the AC, starve and wait for oxygen to run out. When the cameras dive and reveal the fantastical underwater worlds for the first time, it was awe inspiring. I remember a similar feeling of awe when I first learned to scuba dive. A whole new world I had never seen before. As a diver you really get to see both worlds and become an advocate for both. It is almost impossible not to. You can learn how to dive and see for yourself. Atlanna’s wish for harmony between surface and ocean is what movie goers should take away from the film. 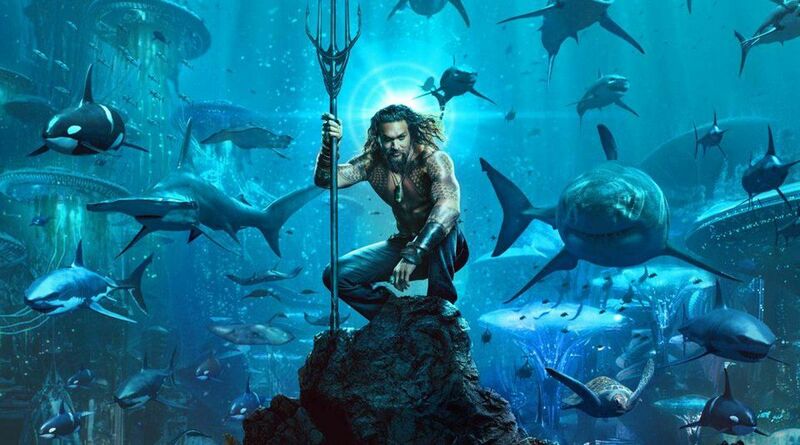 While almost subliminal, the Aquaman environmental message does not drown in kitsch and silliness. Unfortunately in the real world we cannot afford to wait until a beautiful Atlantian delivers this urgent message. Lionel quit his job in 2013 and bought a one way ticket to Asia. The plan was to travel for 3 months, then find work and live in London as an expat. On my travels I fell in love with diving and I am currently a Scuba Diving Instructor on a tiny island in Thailand. Occasionally I share parts of my story on my travel blog over at two green backpacks. I am excited to see what is in store for me next.